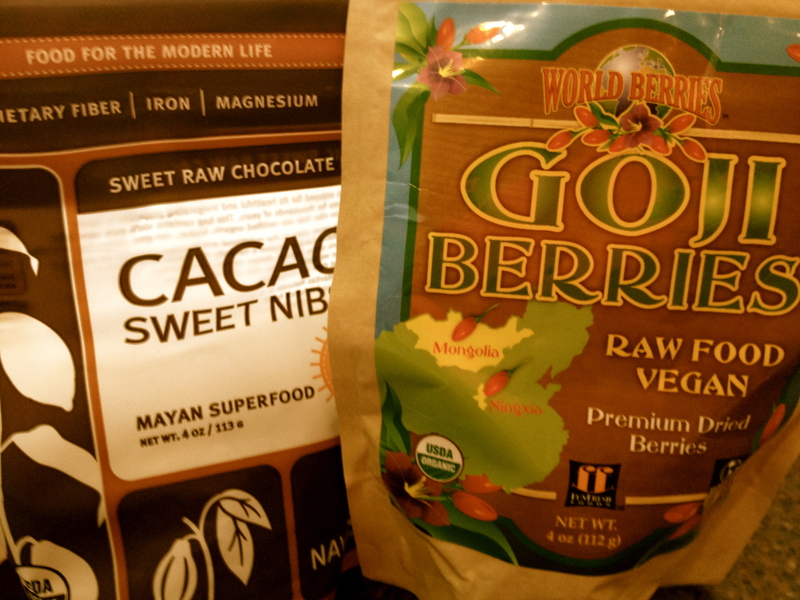 While I was there, I picked up some goji berries, pumpkin seeds, cacao nibs, coconut chips and a bunch of other things. 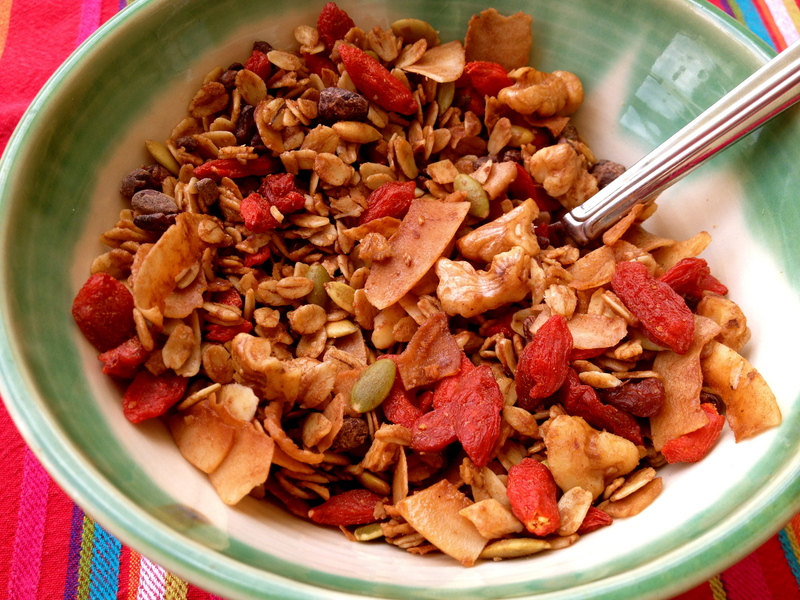 I’ve been snacking on this stuff all week and thought some combination of it would make a really good granola. Preheat oven to 325F. Lightly oil baking sheet. 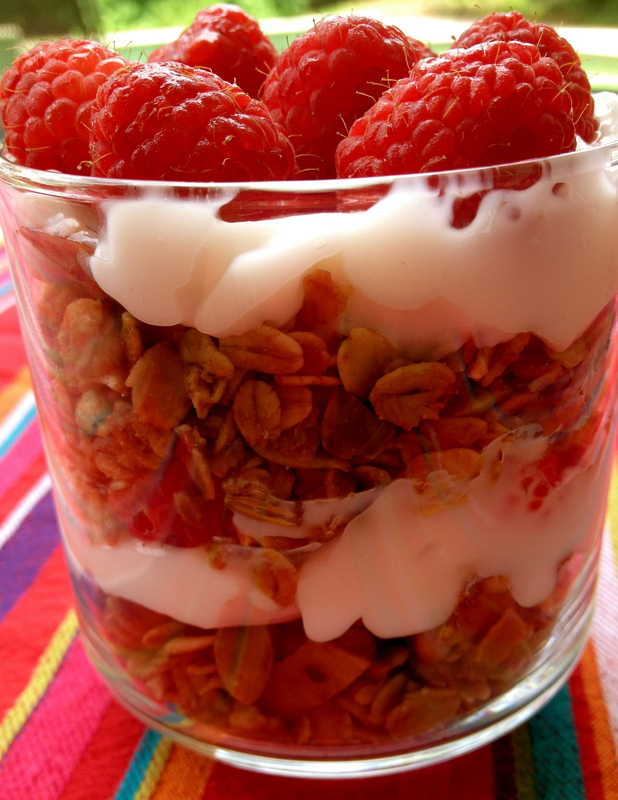 In a large bowl, mix together oats, seeds, nuts and coconut chips. In a measuring cup, whisk melted coconut oil, maple syrup, vanilla extract and cacoa powder. Pour liquid ingredients over oat mixture. Stir until coated evenly. Spread on oiled baking sheet. Bake until golden brown and crunchy, about 25-35 minutes, stirring every 5 minutes or so. Mixture will be wet at first and begin to dry out as it bakes. Let cool. Add goji berries and cacao nibs and mix well. Thanks Gaby!!! Loved sharing it with you. and give you a shout out from New Caey Tx! Just wanted to say keep up the great job! Wow Jan, thank you so much. I’m so glad you are enjoying the blog. New recipes coming soon. Take care!